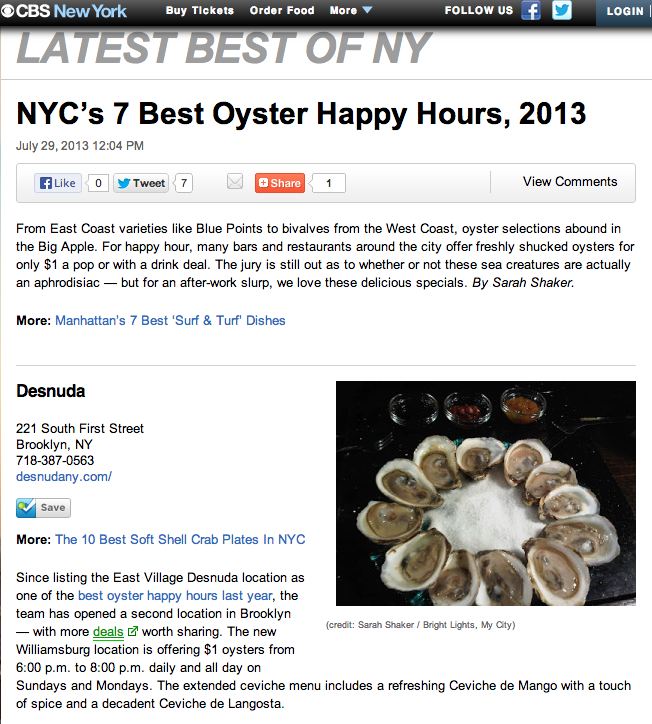 From East Coast varieties like Blue Points to bivalves from the West Coast, oyster selections abound in the Big Apple. For happy hour, many bars and restaurants around the city offer freshly shucked oysters for only $1 a pop or with a drink deal. The jury is still out as to whether or not these sea creatures are actually an aphrodisiac — but for an after-work slurp, I love these delicious specials on CBS New York.